Poking around on the site, I followed a link to Musikalia, identified as a "Sicilian lute maker who produces ukuleles on demand." My guess is that it is better to ask a Sicilian to make you a uke. 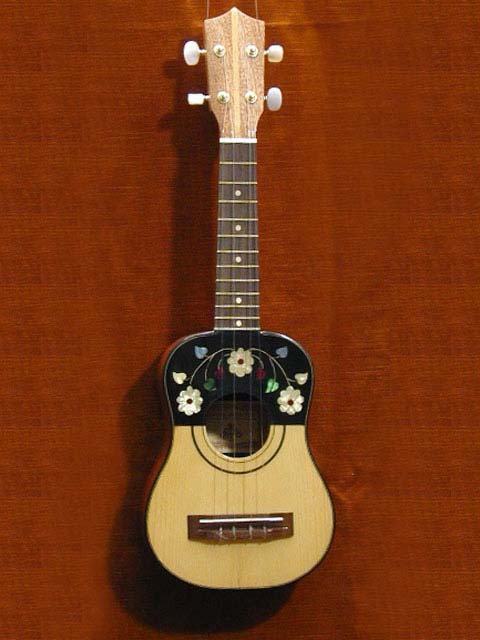 Shown here, one of Musikalia's ukes with a really unusual Italian folk flair. To see the ukes, click on "all categories" at this link.